We have changed breakfast menu. 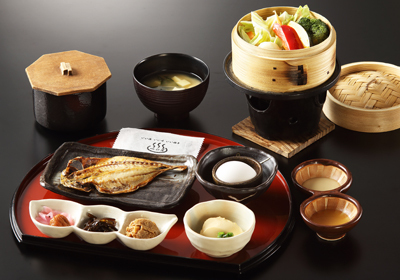 We serve ICHINOYU Original Tofu, steamed vegetables ans so on. It is a breakfast that you can eat only at Ryokan. Ichinoyu original blend coffee using Hawaii kona was developed jointly by Ginza "TORIBA COFFEE" and "Ichinoyu".